I like to cut and paste: Pumpkins! 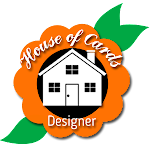 It's October and that means there is a new challenge at House of Cards! Yay! And I love how this challenge runs with the fall season. I love the pumpkins and their texture! Beautiful cards, Katy! Adorable card!! LOVE the embossing on the pumpkins! Yes, Pumpkins! I love the textures of them! How fun to make the pumpkins out of different embossing folders, cute! Gorgeous autumn card Katy!! 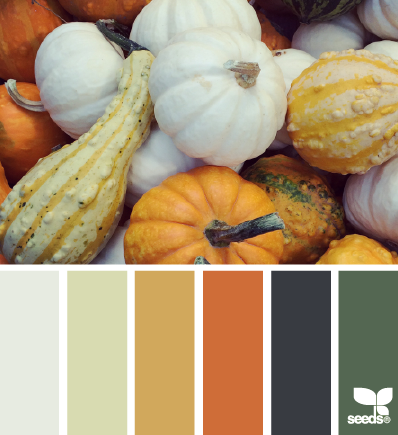 Love the different textures of the pumpkins and the fabric stripe you added! Beautiful colors too! Great card katy! 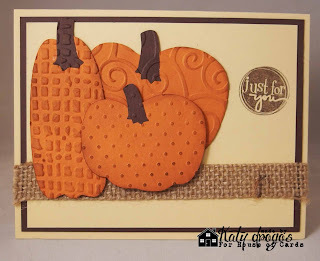 Love the embossing on the pumpkins and burlap! More fun pumpkins! What a great card! This is so cute Katy! 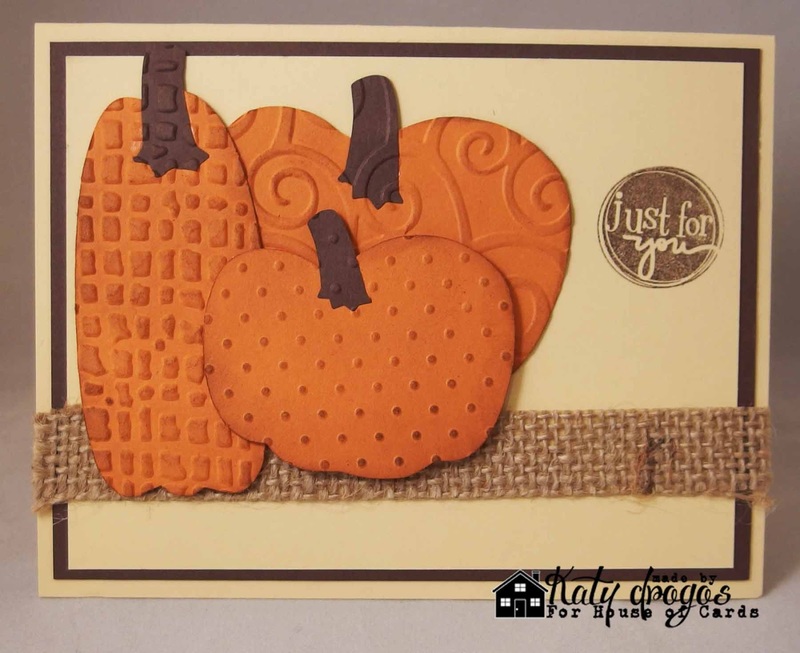 I love the embossed pumpkins and the added burlap, perfect fall card! Katy, they are adorable! I love them. Great pumpkin texture, Katy! 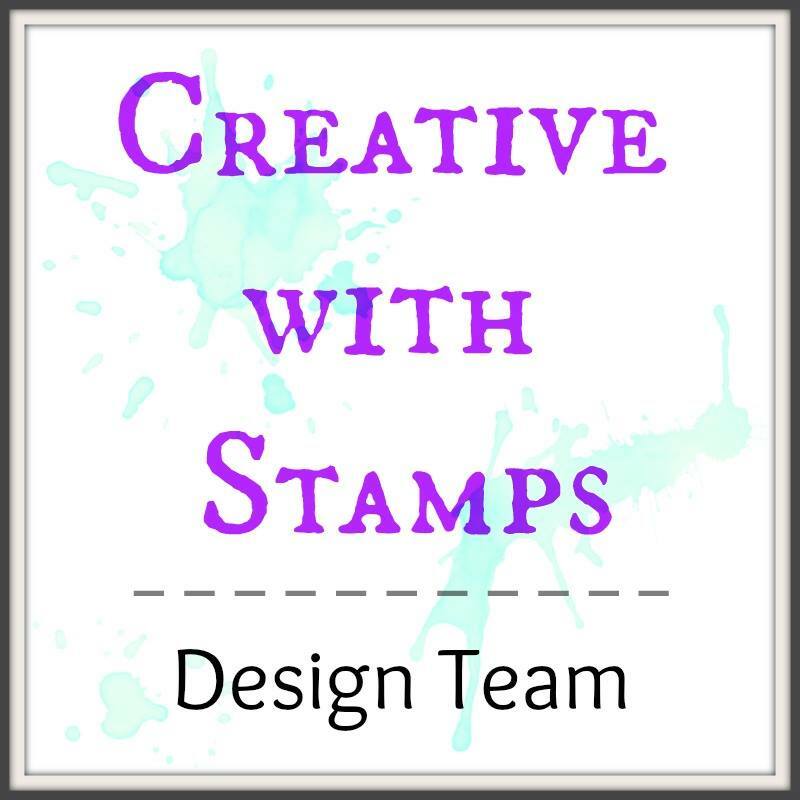 This is super creative! 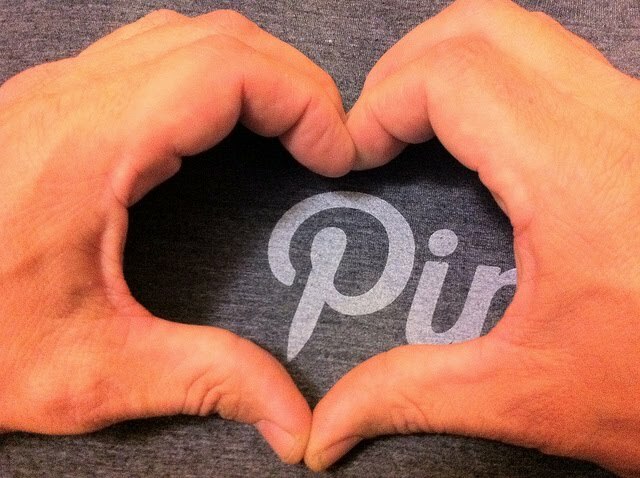 The burlap is a great touch, too! Hi Katy! Wow I love your different shaped and textured pumpkins on your card! Hope you have a great day! I love those textured pumpkins, gorgeous!